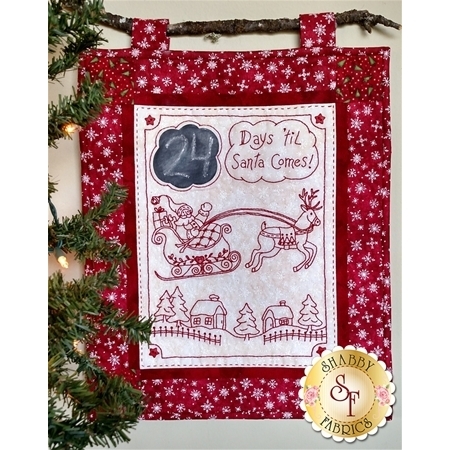 Enjoy waiting for Santa to get here with this adorable wall hanging by Robin Kingsley of Bird Brain Designs! 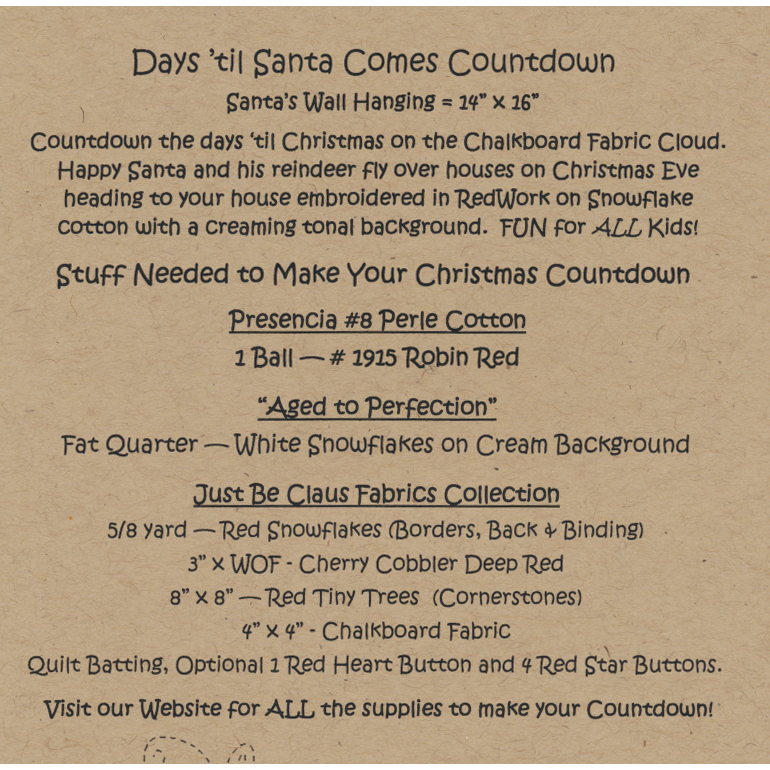 Use regular chalk to mark each day as December flies by....just like Santa and Reindeer on the Countdown RedWork. Pattern includes all instructions and diagrams needed to make this hand embroidered wall hanging finishing at 14" x 16".